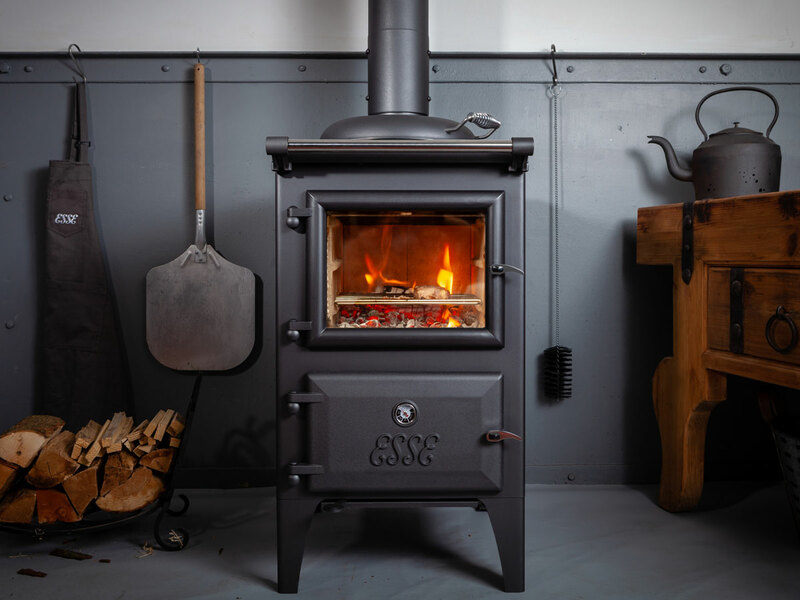 The ESSE Bakeheart offers everything the Warmheart does, but with the added luxury of a 32l oven. 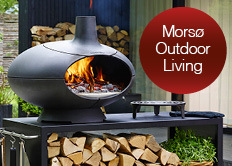 All the charm and heat of a wood burner, perfectly blended with superb cooking capability. 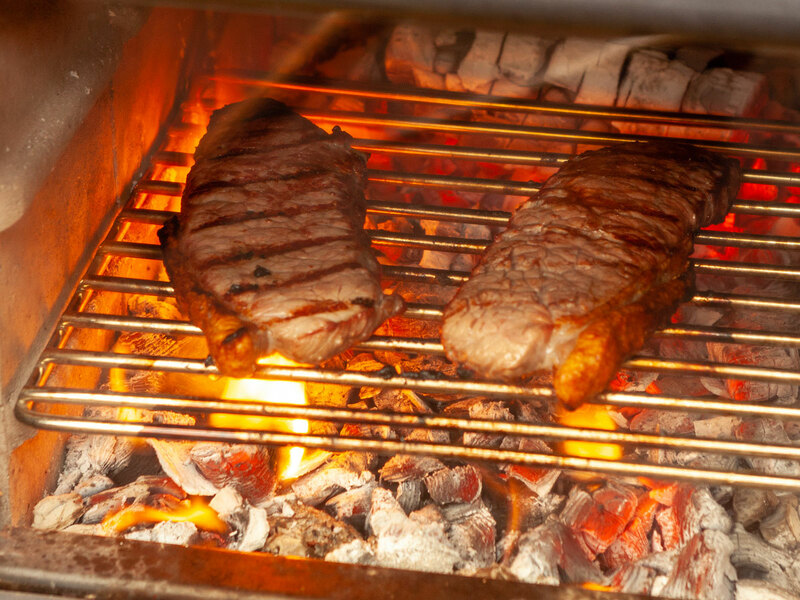 Grill, Boil or Bake without the need for electric oil or gas, and in the knowledge of a healthy 82% wood-fired efficiency. 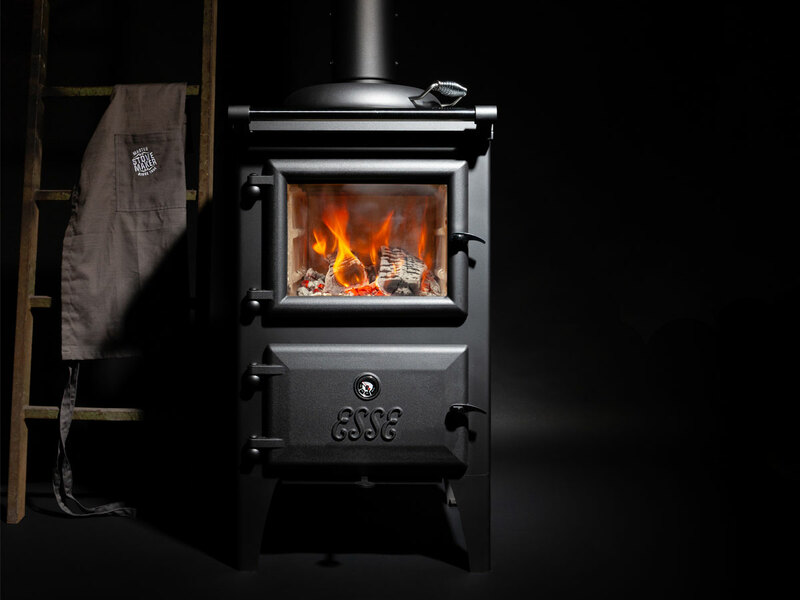 The generous 4-zone hob gets up to temperature quickly. 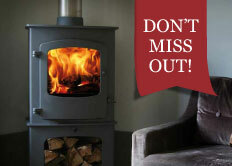 In addition to that, you’ll be sure to keep toasty with a 5kW heat output and an optional boiler. 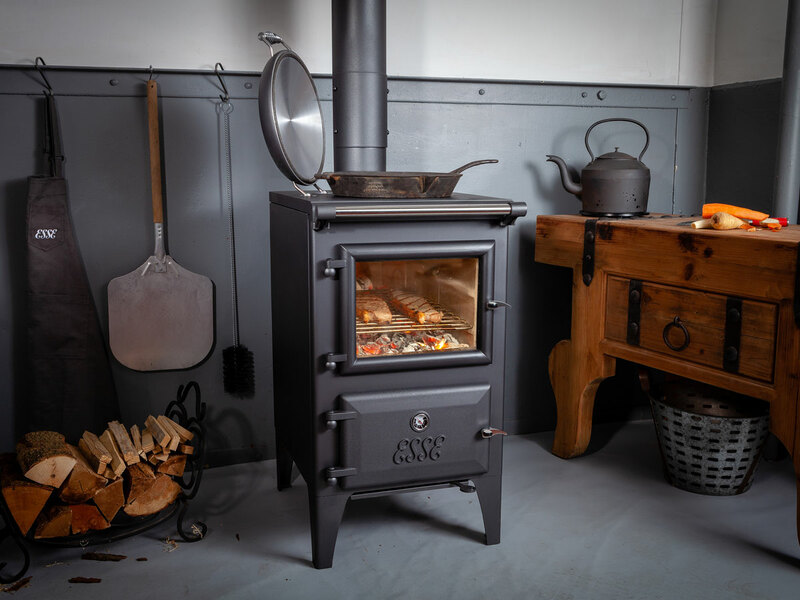 So if you’re looking for a compact wood burner, that will also cook a stew, pizza, steak or a jacket potato this is the appliance for you.